Three new services in the past two weeks have significantly boosted the range of digital payment mechanisms available to all kinds of businesses. With the potential to transform how they bill and collect payments, these new ways to pay open up a world of opportunity for entrepreneurs. All three of these new services make it economical to earn money from delivering small items or services in return for micropayments of a few dollars down to just cents. Two are for online use, while the third caters for spending in brick-and-mortar outlets (or any physical location). For a long while, micropayments have been seen as the key to delivering products and services digitally in many individual, one-off sales rather having to bundle them up into larger subscriptions. As iPhone apps have proved, people are willing to spend a dollar or two far more readily than they’ll commit to a $10 or $20 subscription. These new services take micropayments outside of Apple’s App Store and iTunes, out to the world at large. Maybe you’ve heard of digital goods, but decided the opportunity wasn’t for you? It’s a misleading term, as it sounds like it means stuff that you have to be a software developer to build. In fact it’s anything that you digitize and sell online, from traditional output such as specialist writing, articles and e-books, photography, artwork or music, to new media including video, webcasts or even slidedecks, as well as software artefacts that you buy in online games and applications. Micropayments open up the potential to deliver those digital goods either to a high-volume mass market or to a lucrative long-tail opportunity. The whole notion of digital services is a related area of opportunity that people often ignore because they’re hung up on the ‘digital goods’ terminology. I feel certain that micropayments will enable new types of online professional and business services that will be bought and paid for piecemeal — everything from zipcode lookups to translation or even professional advice. Cost-conscious entrepreneurs should be on the look-out to buy these services as much as supply them, because the globally competitive nature of the Web will drive the prices of some of these services astonishingly low as they become commoditized. Next up was the launch of Google OnePass, seen by many as a direct response to Apple’s controversial launch of its own in-context subscription service for publishers. OnePass explicitly targets traditional media publishers but is also applicable to other forms of digital content and services. It includes support for both traditional subscriptions and one-off micropayments, along with metered access, ‘freemium’ strategies and other permutations. 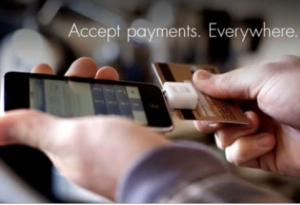 Finally there was the surprising announcement from mobile payments start-up Square, which has abolished flat-rate per-transaction charges for merchants taking card payments: “Now when you swipe a card with Square there is just one fee: 2.75%. What you see is what you pay.” Square provides a hardware plug-in that turns an iPhone or other smartphone into a credit card reader, enabling small businesses to take card payments without needing a fixed phone line or a bulky point-of-sale card reader. Abolishing the previous 15c per-transaction fee makes even small payments cost-effective. Of course Square’smotivation is to buy market share and it presumably has calculated that the majority of sales will be for larger amounts. But the move opens up intriguing possibilities for a business to harness armies of smartphone users as a casual mobile sales force for low transaction value items. There are many possibilities for innovative business models riding on these new services. It will be fascinating to watch what evolves. C-Founder at Diginomica, Vice President EuroCloud UK, CEO of strategic consulting group Procullux Ventures.